The falls are open every day during daylight hours. 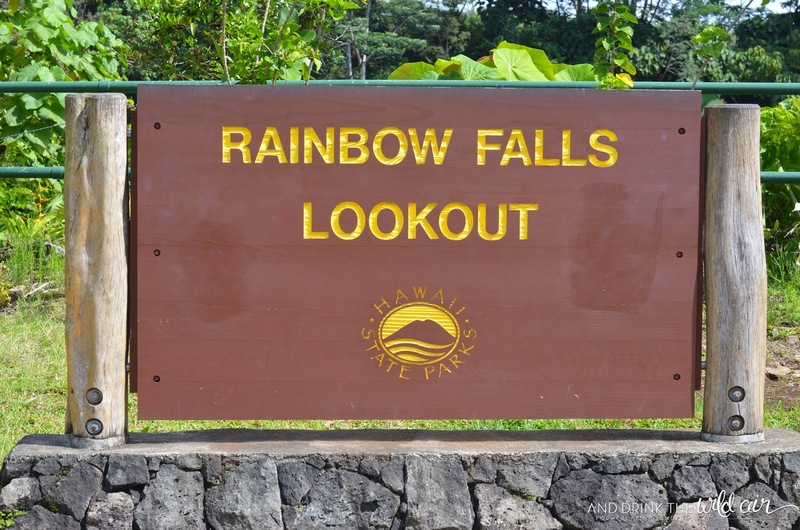 It is 100% free to visit Rainbow Falls. Parking is free as well, but I could see the lot filling up pretty quickly, especially in the mid-morning and early afternoon. 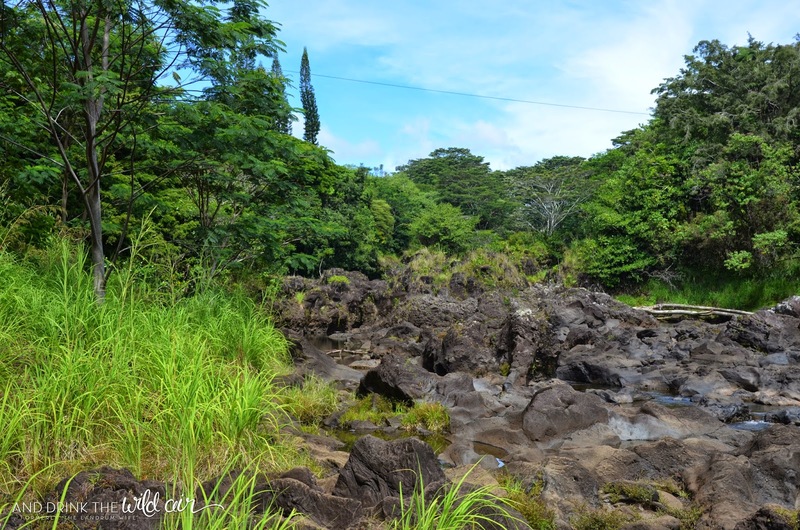 There is a path to the top of the falls near the parking lot, but make sure to always exercise caution when venturing near rivers -- flash floods are all too common here and in the rest of Hawaii! 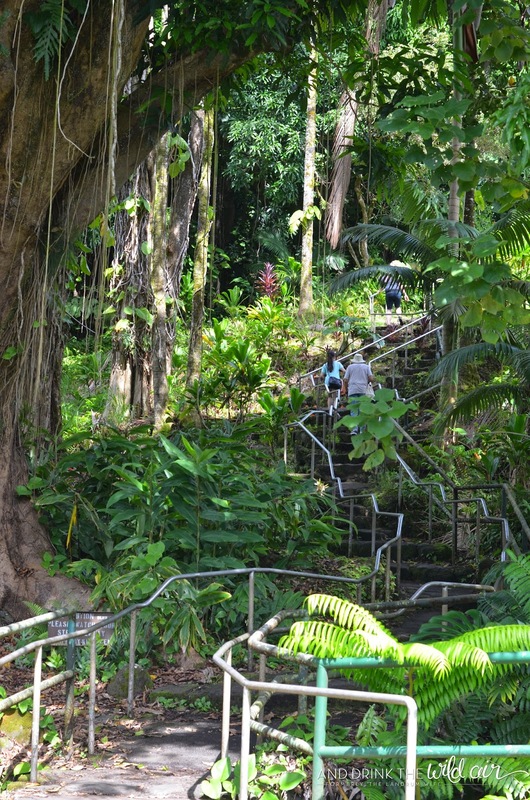 The view overlooking the falls is definitely wheelchair and stroller accessible, but the path to the side is not. 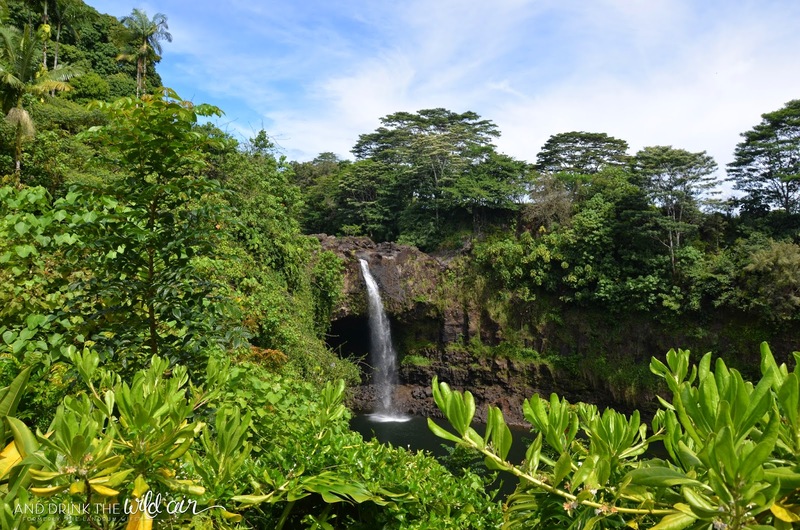 One of the most popular waterfalls on the Big Island would have to be Rainbow Falls. 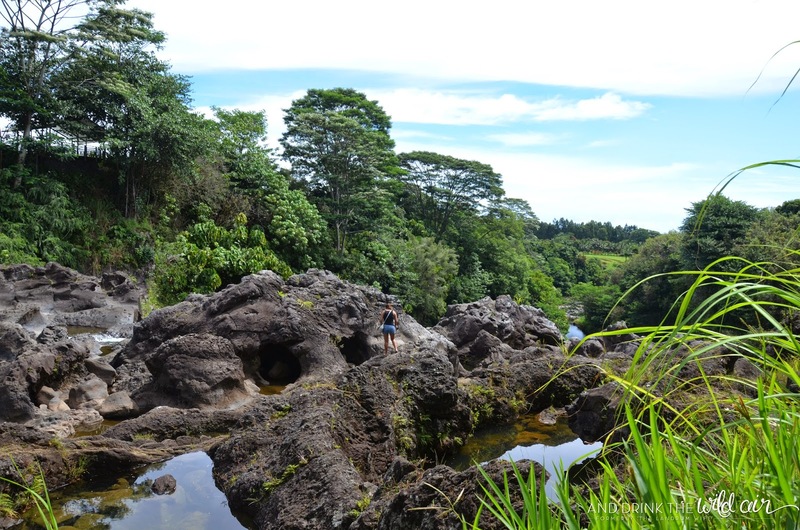 The combination of stunning beauty and easy access are a dream for waterfall lovers and visitors to the area. Mr. L and I were in the area waiting for our big tour of Mauna Kea to start, so we decided to check out this famous spot! 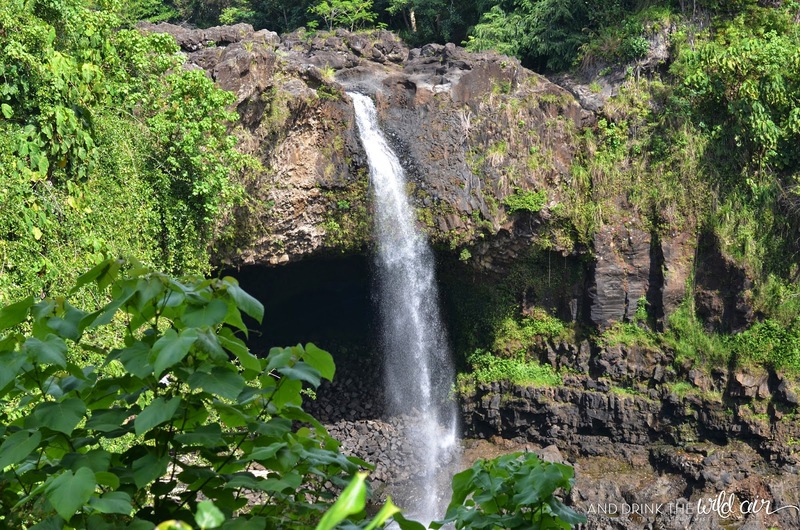 Rainbow Falls, AKA Waianuenue ("rainbow water") Falls, gets its name from the mid-morning rainbows that so often appear in the waterfall's mist (usually around 10AM). 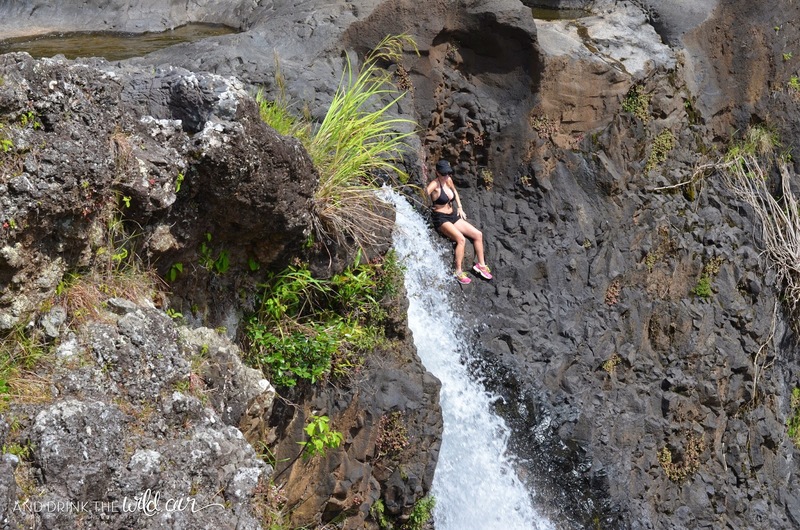 The 80-foot falls drop into a pool which is very large, at least compared to Oahu standards. 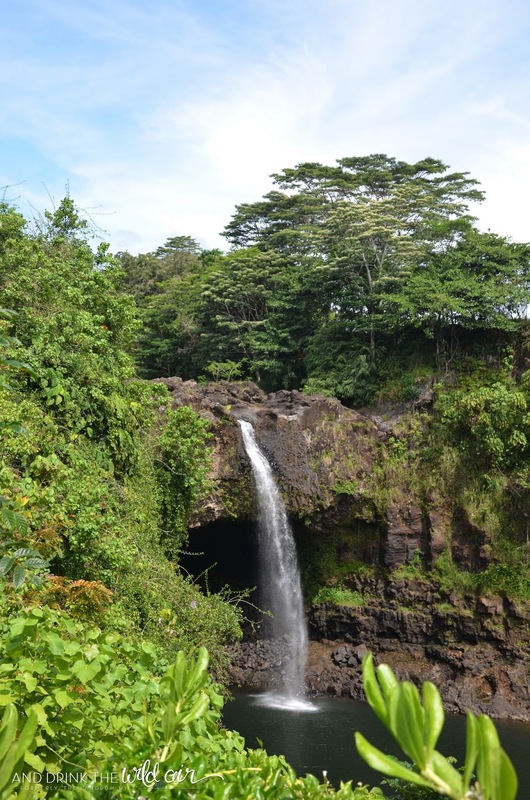 There is also a natural lava cave behind the falls themselves which is said to be the home of the Hawaiian goddess Hina, the demigod Maui's mother. On this day, the falls were very light. 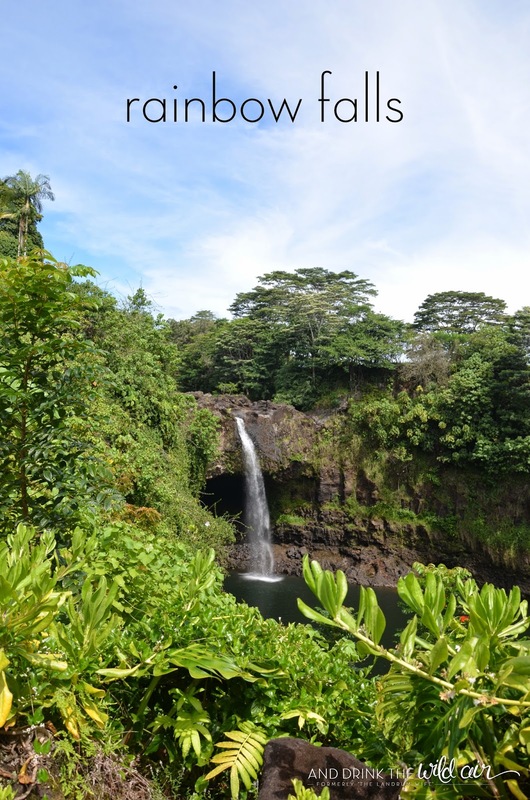 Normally, especially after a heavy rainfall, Rainbow Falls is a combination of falls merging into one. 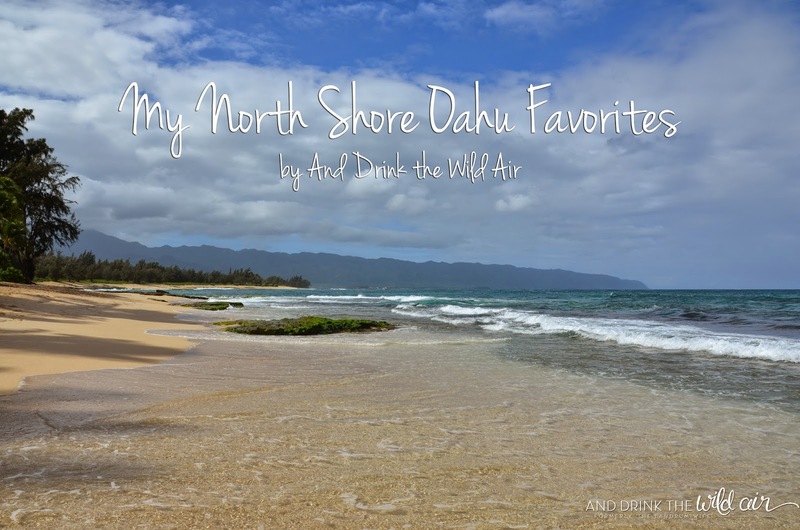 When we went, however, it was a lone stream coming out of the Wailuku River. And if there is a particularly bad or long drought, the falls can even dry up completely! Off to the left-hand side when facing the falls, you can see a trail of stairs heading upwards. Mr. L and I decided to head up this way, not entirely sure of where it would lead to. 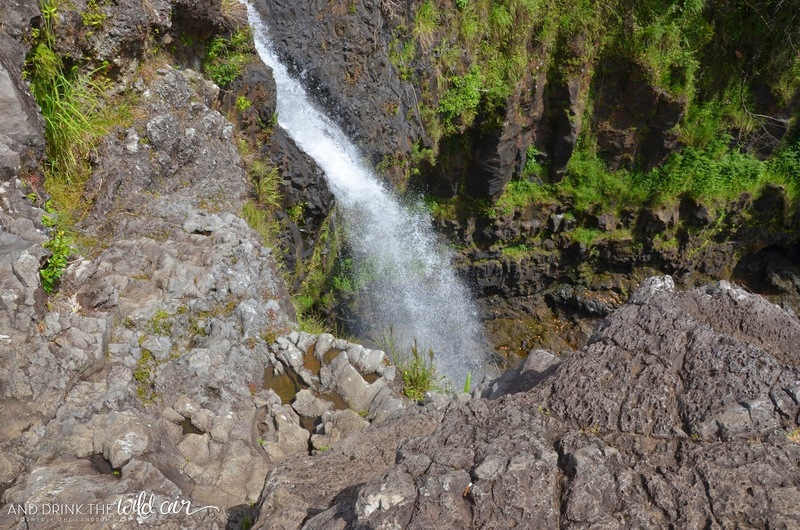 Luckily for us it was a path straight to the Wailuku River and to the top of the falls themselves! Since we came during a dry time of the year (the summer), there wasn't very much mud present in this area. 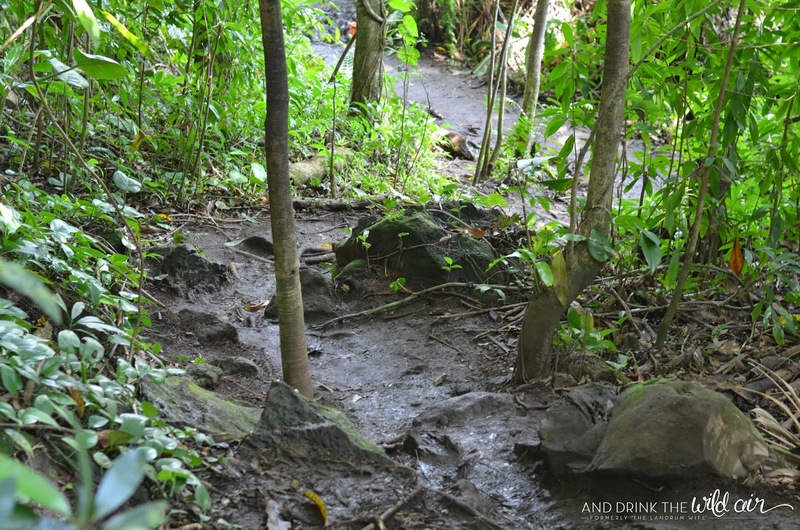 But as the pictures below should show, I'm sure it can get crazy muddy around this path when the rains start coming more frequently and heavily. 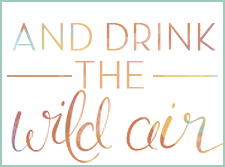 Now, this is where I'm going to throw in my strong words of caution. 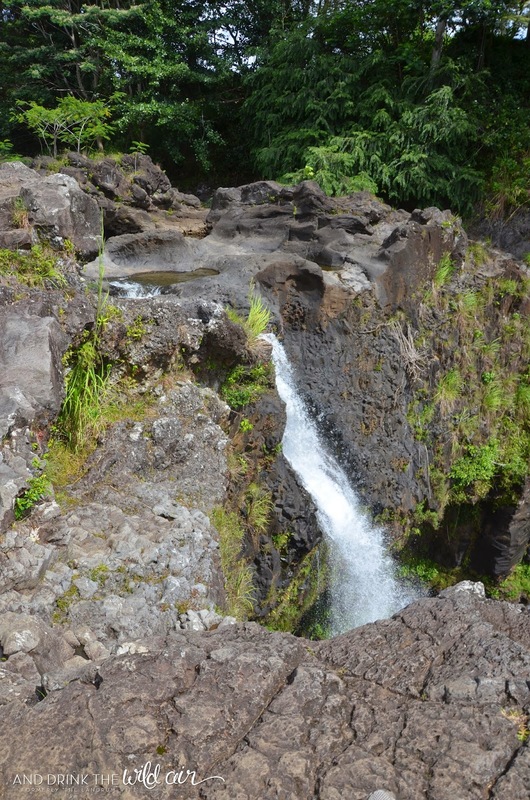 Like I said above, Mr. L and I visited Rainbow Falls in the summer. 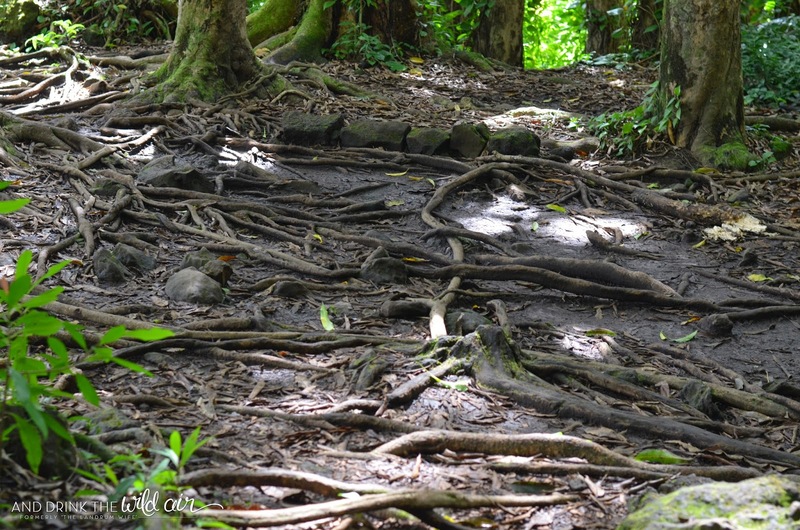 This was also in the middle of a particularly dry period on the eastern side of the Big Island. 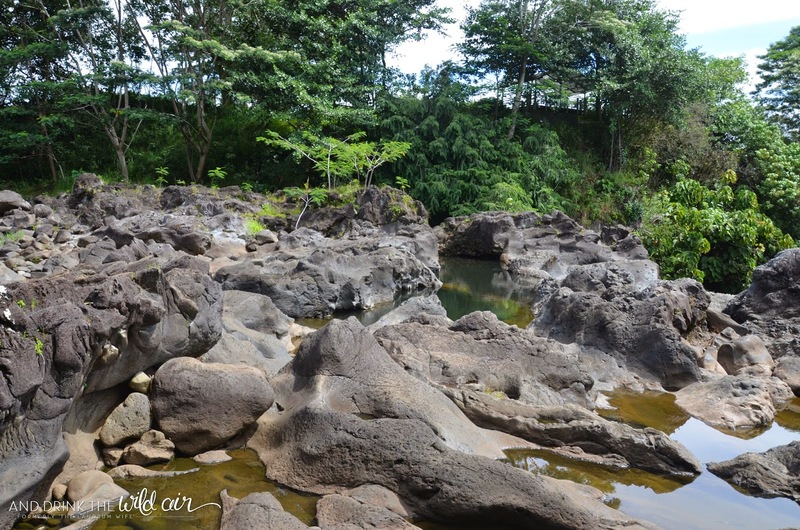 Because of this, the Wailuku River was very, very tame and dry. If conditions are anything along the lines of "wet", "rainy," etc., etc., do NOT go into this area that Mr. L and I ventured along. 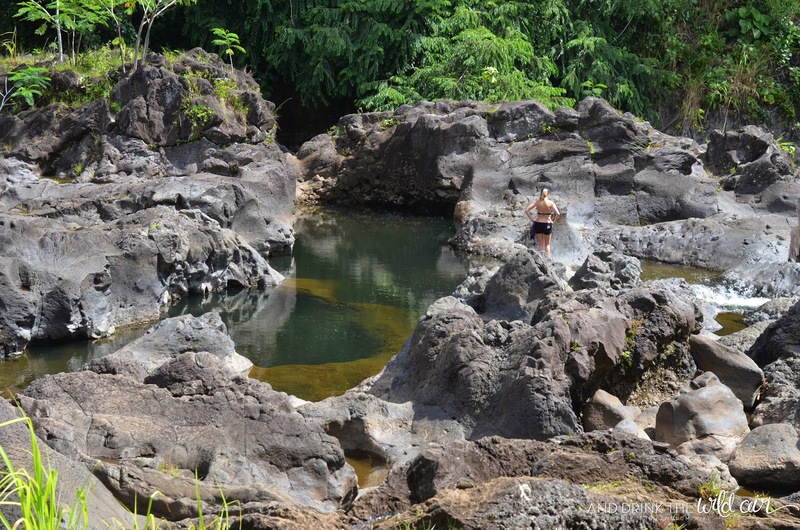 Heck, even if it looks safe, flash floods are VERY common in Hawaii and can happen in seconds. Just please practice caution and common sense in areas like this. On a normal, wetter day, this area would not be shallow -- chances are very good that it could be raging. 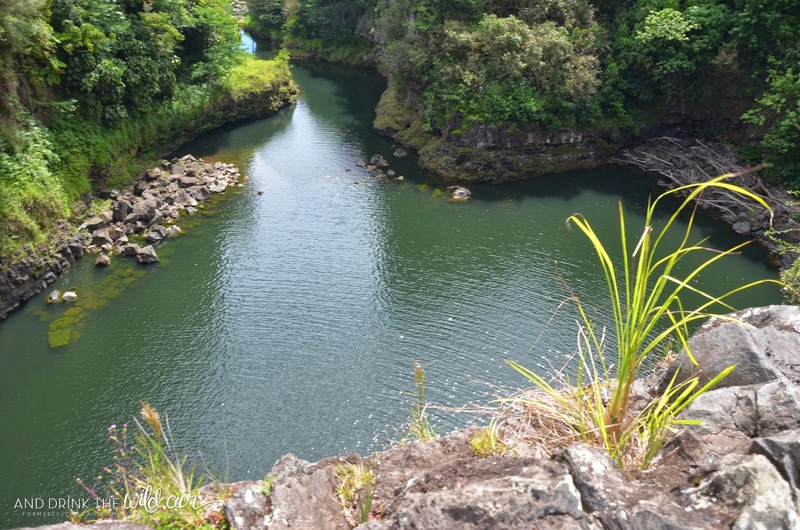 But I'm glad we were able to catch the Wailuku River at such a calm time. It was really fun to explore this area and hang out on the rocks, especially near the edge of the falls -- even if it did give me a minor panic attack! Thankfully I got over it when we went back to more solid ground, haha. And, of course, I don't think it needs to be said that you should NEVER do what this crazy lady below did. I was so scared she was going to slip and fall 80 feet to her death! Thank God she made it back up in one piece. I couldn't believe it!